Received a bunch of quirky beauty products in my March BNTBox and this is one of them! 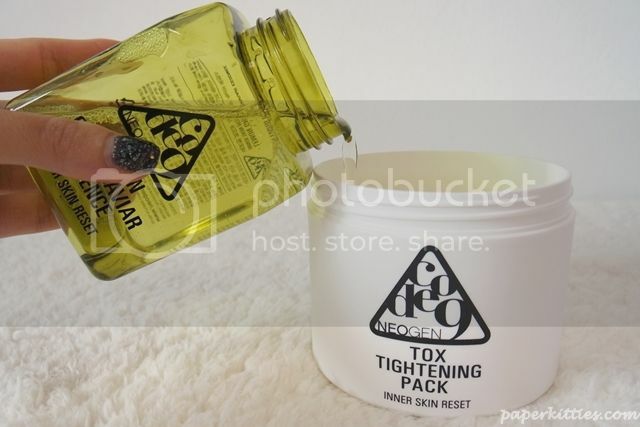 The Neogen Code 9 Lemon Green Caviar Essence & Tox Tightening Pack Kit (Inner Skin Reset) is a highly concentrated total care essence mixed with lemon, green caviar, multi vitamins and 55 kinds of naturally-derived and extracted low-temperature preserved ingredients. Pair with 3 layer (100% pure cotton gauze + cushion sheet + patterned pad) advanced concept gauze pack-pad for better absorption. This advanced essence pack can remove dead skin cells and delivers the active ingredients for skin. It ultimately creates the perfect clean and elastic skin. 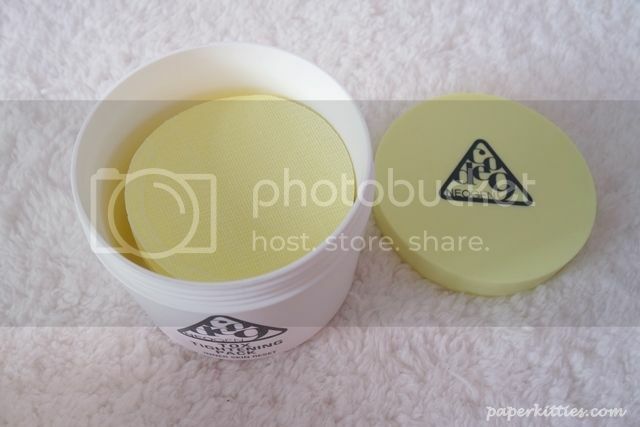 The Lemon Green Caviar Essence takes care of 9 skin troubles: dead skin, widened pores, dull skin color, wrinkles, dark spots of eyes, blemish, face line dropping and redness. 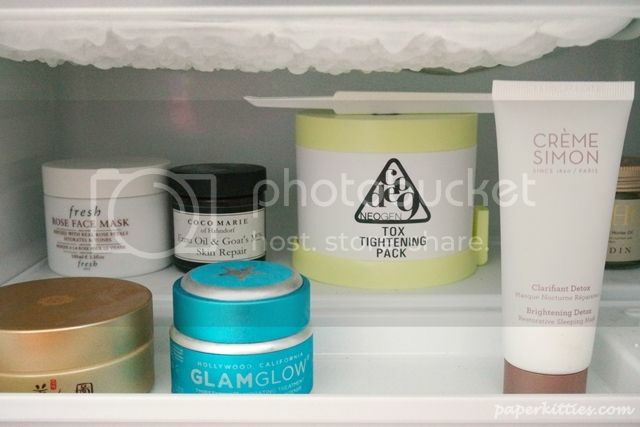 Here’s the Tox Tigenting Pack to help take care of exfoliation and nourishment delivery at the same time. Left is the pure cotton 100% gauze layer with network mesh weaving that’s akin to one’s skin cell structure to remove dirt and dead skin cells. Separated by a skin cushion sheet layer (to effectively press the gauze onto our skin), on the right is an embossed pad to aid in effective absorption of the product whilst providing similar effect as a mask sheet. 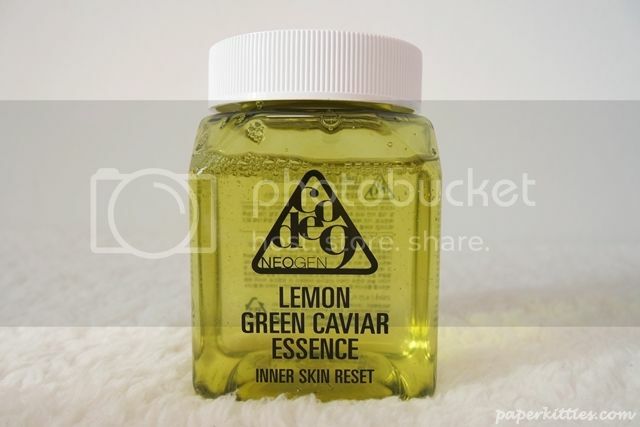 As per instructions, I opened up the sealed Lemon Green Caviar Essence and poured it into my Tox Tigenting Pack. Using the tweezer to ensure that all the pads are well submerged in the essence. Do take note to use the soaked pads within 2 months! Hey Alene! Haven't seen many bnt reviews from you so wasn't sure whether you were still doing it. I found this one pretty similar to your thoughts- very sticky and didn't do much for my skin. Looking forward to your other reviews!